Our luxury made to measure wooden blinds offer a unique and stylishly crafted collection that reflects the perfection of their native origins and will bring the beauty of nature to the inside your home or conservatory. 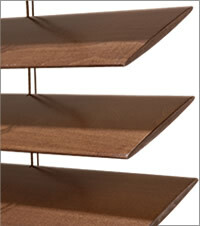 Our collections range from the beauty of light wood to the contemporary elegance of our luxury gloss collection. The soft grain range with its rugged and natural charms contrasts beautifully with the more soothing looks of the perfect grain. 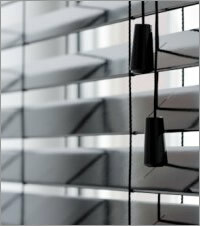 Whilst the timeless qualities of our white wooden blinds and black wooden blinds complements our extensive choice of high quality custom made wood venetians. Not only are we conscious about where our wood comes from that we use in our quality wooden venetian blinds, but we strive to ensure it makes your home or office as energy and thermally efficient and kind to the environment as possible. Wood is a natural insulator, helping to keep the cold out during the winter months while the white stained woods will reflect the sun and help keep your interior space or conservatory cool during the summer. With a choice of three fabulous slat sizes available, 25mm, 35mm and 50mm, you can choose the timber or wood to perfectly compliment your room’s interior design scheme and décor. Allied with our wonderful collection of beautiful trim or ladder tape colours, you can choose a wood blind that has a unique look and one that will bring a luxurious and natural feel to any window of your habitat. With only the best components and woods used in our made to measure wooden blinds you can be assured that your wood venetian blind will not only look fabulous, but will give you years of hassle free service. 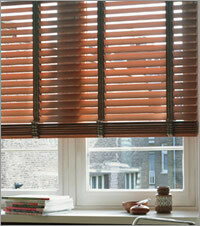 All of which means that the only thing cheap about our beautiful wooden blinds is the price. 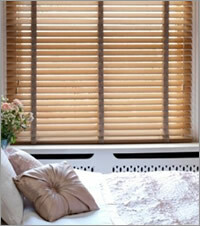 So whether you require a wooden blind for your kitchen window, bathroom window or bedroom, with our wide range of horizontal wood slat colours and stains to choose from you are sure to find the venetian blind that is right for your home. Each one carefully selected for not only its beauty and natural good looks but to ensure you will have a blind that will give you many years of trouble free operation and sunlight control. 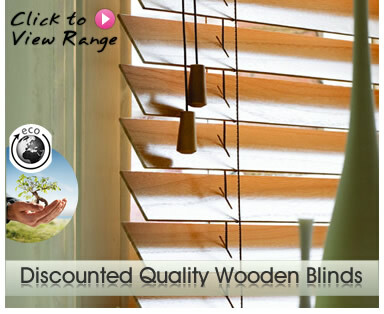 With such a wide and wonderful choice of luxury wooden blinds at trade prices direct to the public finding the ideal wood blinds to suit your room's decor or homes interior design scheme is very easy. 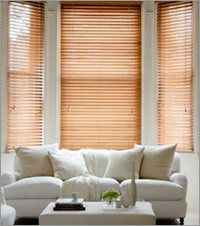 Allied to our free samples service allowing you to see how fabulous our very desirable designer wooden venetian blinds will look at your windows before you buy online. Whatever room of your home you decide to adorn with these wonderful wooden blinds you are guaranteed to be thrilled with the real look of luxury, style and taste they bring to any window. Whether you go for a dark wood blind to compliment your dark flooring or maybe a picture frame, or a light wood blind to coordinate with your coffee table or other wooden furnishing, they will really help to bring the look together in a very natural and seamless manor. Composition: Basswood FSC. Which comes from Linden trees. 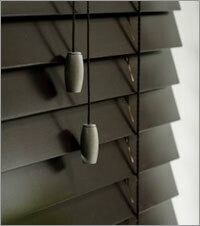 Large Blinds: * Extra wide wooden blinds with extra long drops are available on request. Please Contact Us. 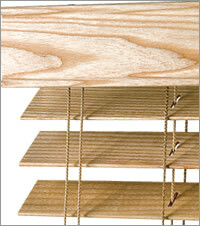 Wood Slat Thickness: 3mm - Headrail: Steel reinforced for extra strength. 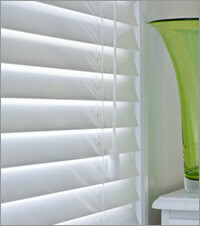 Valance: Basswood that is colour matched with the wooden slats. Cords: Colour co-ordinated with the blind. Controls: Left hand tilt cords & right hand lift cords. 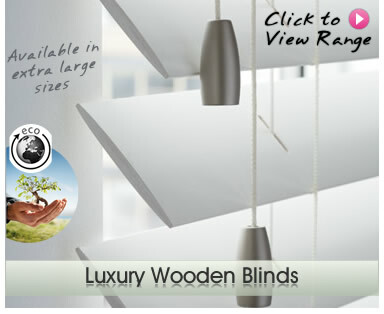 Note: Our made to measure wood blinds are manufactured to your sizes, there is no need to adjust either the drop or the width. Fixings: Supplied with all the necessary screws, brackets & fixings for face, top & side fixing. Delivery: Approximately 5-10 working days. All our wooden blinds are sourced with careful consideration for the natural environment adhering to FSC standards to allow you to welcome the outside world into your home in an ethical way. 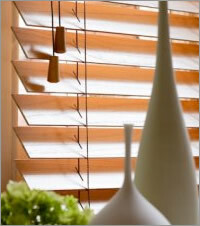 Please note that on wood blinds there is a manufacturing tolerance of up to 5 mm on the width and between 2 to 4 cm on the length (depending on the slat size) to allow for the slat movement and ease of operation. 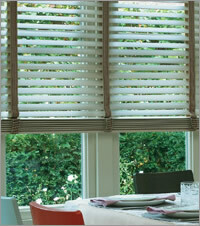 Our inspiring collection of bespoke wood blinds offers exceptional choice in luxurious wooden venetians. Create a unique look that is perfectly in harmony with your interior style and add a touch of the natural world to the inside of your home. All of the wood used in the manufacture of our wood blinds is carefully sourced from sustainable, managed sources allowing you to enjoy the beauty of wood in the most ethical way.